Our US facility is located in Bucyrus, Ohio and consists of management offices and an expansive 75,000 sq. ft. warehouse facility. increasing quality and lowering costs. Our vendors are consistently rated on past performance, processes utilized, the systems utilized and overall quality. In addition, our staff of inspectors perform on-site inspections of the products as they are being produced. No material is shipped until all data required is compiled and reviewed by the US office and Asian offices. For more information on our Quality Control processes, click here. Located in Shanghai and Xi-an, our Asian offices employee 35 employees on site, allowing W.E. Lott to take advantage of the superior quality and lower cost that China offers. W.E. Lott Company does not go through a trading company, but instead deals directly with the factories. Our direct communication with the factories provides many benefits to our customers. No middle man means the lowest possible cost to our customers and increased quality and communication. Our engineers and inspectors visit the foundries during production runs and inspect products prior to shipment. Response time and communication with the professionals making your parts could not be quicker. W.E. 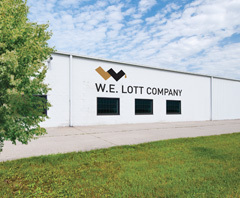 Lott's corporate office is in constant touch with our Asian office via telephone, internet and regularly scheduled video teleconference meetings. Our Asian office will quickly work to meet the needs of our customers whether changing the pattern, creating AUTO CAD drawings, increasing production, or arranging to air freight product to the United States. Our Asian office may be on the other side of the world, but it will seem like they are right around the corner. In fact, we have been told that our delivery time and responsiveness is better than most U.S. foundries. W.E. Lott Company has access to foundries, forge and machine shops in the United States, Canada, China and India. 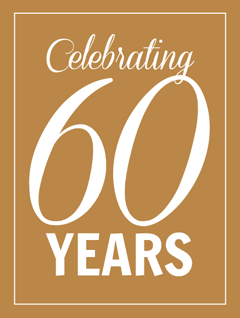 We are currently making products in over 70 locations around the world. The foundries and forge shops that are available to W.E. Lott vary in type and capability, allowing us to match the right supplier with the right qualifications to make your unique parts. With an awareness of rapidly changing technology, we consistently evaluate and add suppliers to maintain our high level of quality products for our customers and the industries they serve.